The Ideal Solution for R D and Small Scale ProductionPharma Lab Equipment is ideal for small-scale production in the pharmaceuticals, chemical, cosmetics and food industries. It fits perfectly into Research Development of tablets, ointments, creams and more. Pharma Lab Equipment is ideal for small-scale production in the pharmaceuticals, chemical, cosmetics and food industries. It fits perfectly into Research Development of tablets, ointments, creams and more. Karnavati Engineering Limited was started in 1981, with a focus on transforming machines to pharmaceutical excellence. Driven by a small initiative of our respected Chairman Shri I.A. Modi, today the organization has come off age in carving out a tall name for itself in the market for its outstanding quality and customer service. We are an ISO 9001:2008 company with state-of-the-art infrastructure and manufacturing capabilities for Pharmaceutical Machinery, Tooling, Line and Allied Accessories confirming to the highest standards of quality and reliability. Our Company is accredited by Government of India as "Export House". We invest a considerable part of our revenues into R & D and attribute all our success to the team work of our employees. A motivated work force and commitment from management has helped us maintain a steady pace at all times. We have a rich history of bringing many firsts into the market. We were the first to introduce small batch (R & D) Tablet Presses domestically. We led the industry for designing front Controls for better ease of operation. We developed Table Top Fully Automated Capsule Machine in early days when capsulation was considered to be a bulky affair. The company works with the aim of supplying differentiated & customized products to the pharmaceutical Industry through innovative thinking. With a wide range of product basket comprising of tablet compression machines, capsule filling machines, R &D and Process Equipments, Granulation Equipments, Packaging machines, Toolings & Accessories for Tablet & Capsule filling machine, our company has claimed its position as a "Single Stop Solution Provider for Oral Solid Dosage Line". Our company have a strong presence with over 3324 Successful Installations across the globe, Export to more than 50 countries globally, Strong Domestic presence with 5 branches across India, Strong Global presence with network of 30 business Associates, More than 200 loyal customer base across the globe & More than 25 years of rich experience. 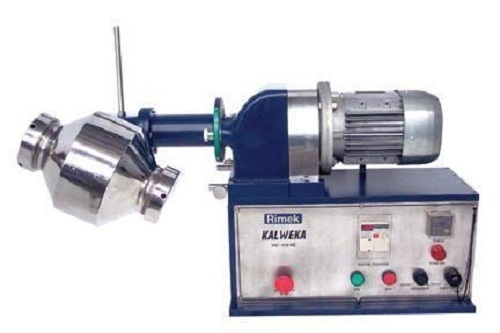 Our machines find best applications in Industries like Pharmaceutical, Nutraceutical, Food & Confectionery, Toiletries, Chlorine Tablets, Salt Industry, Veterinary etc. We have a vast range of products for pharmaceutical machinery sector which make us the end-to-end solution providers. We are present across the globe in tablet compression, tablet press accessories, capsule filling equipments, capsule filling equipment accessories, laboratory equipments and granulation equipments.